Kar-Ben Publishing (Tm), 9781512408256, 24pp. 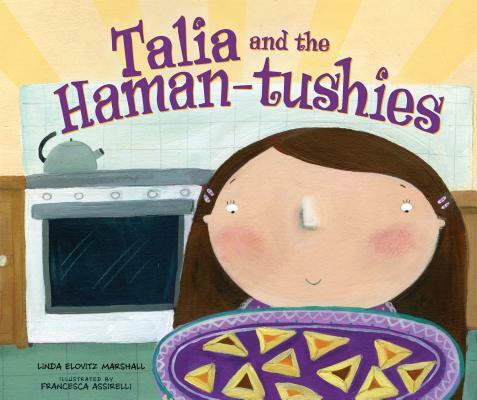 It's almost Purim, and Talia's sure that Grandma said they're going to bake "haman-tushies." Eww But as Talia helps Grandma with the recipe and learns the story of Purim--from the bravery of Queen Esther to the schemes of wicked Haman--she discovers a lot about these holiday cookies that she didn't know. The third in Marshall's play-on-words Talia stories including Talia and the Rude Vegetables and Talia and the Very YUM Kippur.